Water quality impairments resulting, in part, from agricultural nutrient runoff have remained stubbornly difficult to solve in the United States. 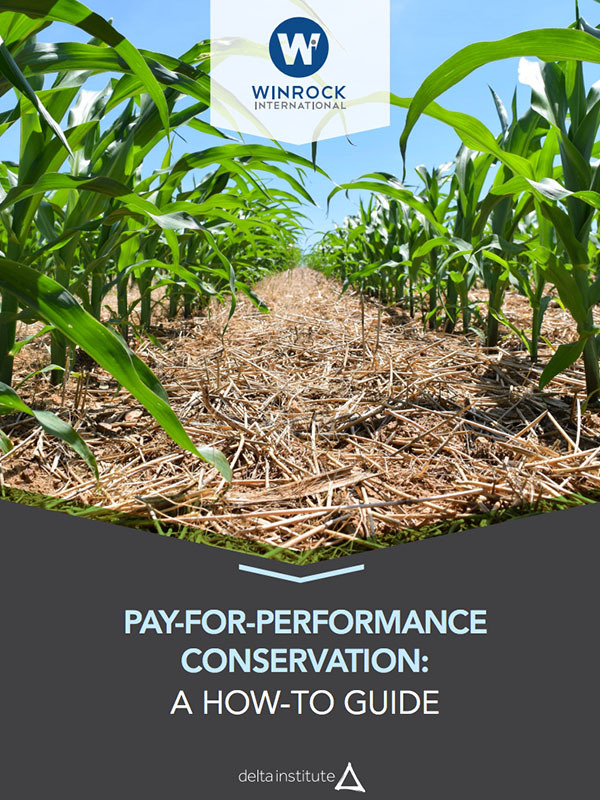 Pay-for-Performance conservation capitalizes on scientific and technological advances to identify cost-effective land management changes that farmers can make and quantifies nutrient reductions resulting from those changes. When farmer incentive payments are tied to these quantified estimates of nutrient reductions, farmers are motivated to implement the most cost-effective means to reduce nutrient runoff. The combination of a challenging problem, the freedom to collaborate on a solution to that problem, and a data-driven framework for making decisions and providing incentive payments is powerful motivation for famer involvement in solving a water quality problem.